Three Reasons to Hire a Business Plan Writer for Chicago, IL. January 13, 2019 Paul Borosky, Doctoral Candidate, MBA. Chicago is an amazing city. Our business plan writers found that there is over 2.7 million people in the area and the area is home to legendary Wrigley Field and the John Hancock Center. The large population and tourist attractions would seemingly be Disney World to us entrepreneurs. Unfortunately, this is not the case. Small business owners deal with a multitude of challenges. These challenges may come from a continued stream of new competitors entering the market. Further, large organizations are continually exploiting niche opportunities that have often been left for small organizations. From these growing challenges, the reasons to hire a business plan writer grows on a daily basis. Ah, the coveted SBA loan. When a business owner thinks of borrowing funds, their often first thought is the SBA loan. Unfortunately, there are numerous misconceptions about the SBA loan. First, our business plan writers have found that most small business owners believe that the SBA actually writes the business loan for them. Unfortunately, this is not the case. The SBA will guarantee a portion of the loan for a bank. However, they do not actually issue the funds. A second misconception for an SBA loan is that they are very easy to obtain. The truth of the matter is that only a small percentage of applicants actually receive an approval for an SBA loan. Because of these challenges, improve your odds of obtaining a loan by working with a professional business plan writer. A second reason to hire a business plan writer would be for negotiation purposes. A little-known fact by small business owners is that by having a business plan, they will be in a better position to negotiate. Whether it be with their potential landlord or prospective suppliers, having a business plan will help them better understand their company. For example, with a business plan, a small business owner will be able to identify various supply needs for their new business. From this identification, the business owner could negotiate lower prices if they agree to purchase the bulk of their material from a certain vendor. This is just one of the many applications and benefits of having a business plan prepared by professional business plan writer. Some business owners have a vision in their head as to what their company will look like in the near and long-term. However, this vision is often cultivated using the business owner’s own thoughts and ideas without input from others. This often leads to a narrow scope of business. To illustrate, our business plan writers recently worked with a tutoring company in developing their business plan. In starting, the tutoring company wanted their scope of business to be within a 15-mile radius of their office. Upon further discussions, the business owner came to realize that their services may be utilized on a global basis. Without working with a business plan writer. This revelation they not have been identified for weeks or even months. In other words, the business owner would have missed out on revenues without having a third person to assist with their scope of business cultivation. These three reasons are just the starting point for why a small business owner in the Chicago, Illinois area, should have a professional business plan writer working with them through all stages of the business plan writing process. In doing so, not only will they be in a better position to obtain an SBA loan, but small business owners may also be better prepared for negotiations with landlords and vendors. 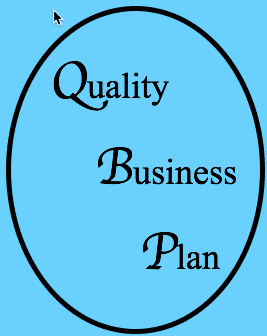 Thanks for reading Quality Business Plan's blog. What are your thoughts about the need for a business plan writer for small businesses in Chicago, IL.? Please share your thoughts and experiences in our comment section. Hiring a business plan writer for your Chicago, IL. business is an important decision. Make sure to understand the benefits. ← Two Reasons to Hire a Business Plan Writer for your Los Angeles, CA. Small Business.